This room was so much FUN!! The zombie took the experience to an entirely other level, and it was awesome! Our Zombie was hilarious, and not only distracting but entertaining as well. We were laughing more than we were screaming :) I recommend this room to anyone who likes to solve puzzles and laugh at the same time! 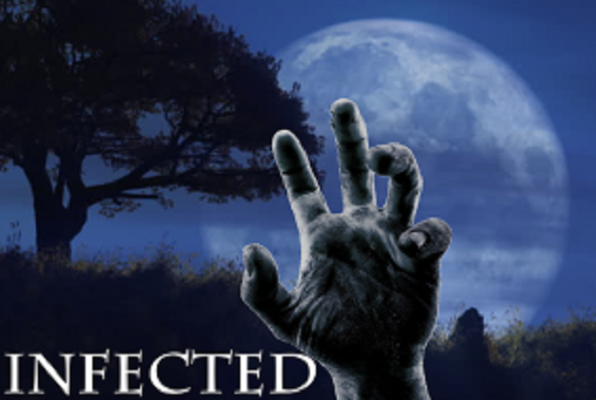 In this exciting and innovative twist on the escape room adventure, Infected is a room for those ready for an adrenaline-filled, mind-bending experience! Participants will be locked in a room with our hungry Dr. Oxy (who also happens to be a zombie) for 60 minutes. Every 5 minutes the hungry zombie's chain will get a little longer until the clock runs out and the chain is long enough to devour everyone. You must work together to solve the clues, puzzles, and riddles to retrieve the key before the Dr. can get you! Do you have the brains to escape, or will you become infected? Reviews of escape game "Infected"
My husband and I have done about 6 escape rooms, but none like this. I am pregnant and could not participate, but was allowed to sit in the quarantine area and still help out with clues. We had 11 people total (a family outing) and for most it was their first escape room. Everyone had a blast, and Jerrick as Dr Oxy and Sawyer were beyond phenomenal. My husband said the puzzles were challenging and if we had just a minute or two more I think we would have made it out on time! Dr. Luke Oxy was a wonderful zombie! 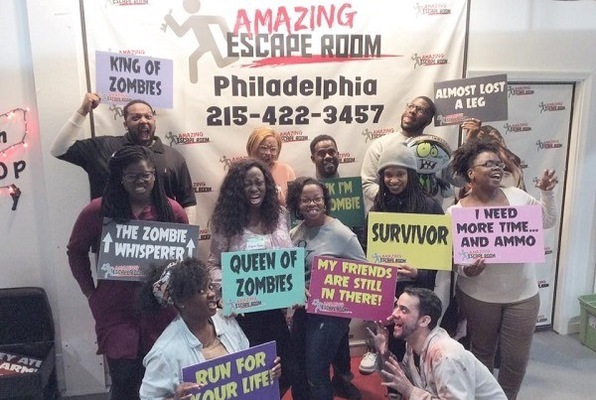 The puzzles were well thought out, and the addition of a zombie added the extra stress level to make this a really intense escape room. I definitely will have to try out the other room here when I am back in the area! This was just so much fun! There were 12 of us and we escaped with 3 minutes and 46 seconds to spare. The clues were clever, well-executed and pretty damn challenging. The zombie and doctor were awesome--Mr. Zombie certainly kept us on our toes. Overall, I appreciated the organization of the entire establishment and I can't wait to do this again!